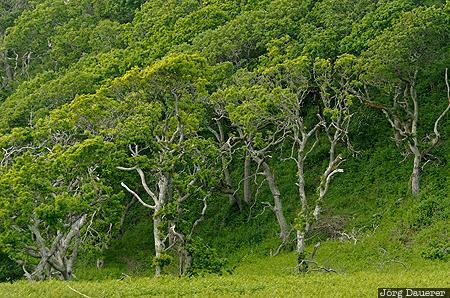 The green pattern of trees near Imachar on the coast of the Irish Sea. Imachar is on the Isle of Arran in the south of Scotland, United Kingdom. This photo was taken in the evening of a coudy day in June of 2013. This photo was taken with a digital camera.